The civil action brought by former PokerStars sponsored pro Marcel Luske against the site over alleged uncompensated use of a system of tournament poke rules co-owned by Luske continues a slow march forward in a Nevada court. Among the latest developments is a hearing now scheduled in December on a motion to dismiss brought by PokerStars and its parent company, Amaya. Luske filed the lawsuit on August 9th, alleging “fraud, interference with prospective economic advantage, bad faith and breach of contract,” in conjunction with PokerStars’ alleged use of the FIDPA [Federation Internationale de Poker Association] system of tournament poker rules derived by Luske and Nevada-based poker pro Michelle Lau last decade. Luske, a former and long-time PokerStars-sponsored player well known on both sides of the Atlantic, alleged in his lawsuit that Stars had expressed interest in the FIDPA rules system. FIDPA is a pay-to-use rules code, and Luske alleged that he allowed PokerStars to use it at some point in early 2014, after Stars’ live-event officials decide to use it at some Stars-sponsored events, such as the EPT. FIDPA is comparable in structure to the well-known Tournament Directors Association [TDA] set of rules, though FIDPA’s guidelines are used in significantly fewer venues. 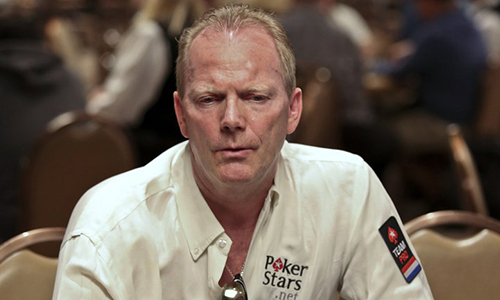 Luske’s long-running association with PokerStars was one of the early casualties of Amaya’s acquisition of PokerStars parent Oldford Group in 2014. Luske was one of several patched-up pros jettisoned in September of 2014, in one of several cost-cutting measures initiated by the new Amaya ownership regime. Luske has alleged that he and Stars had a handshake agreement regarding the FIDPA guidelines’ use, but that events continued running under the PokerStars sponsorship banner, using FIDPA, after his release from the company. A handful of legal maneuvers have marked the case docket since its filing. In late October, one of the parties — likely PokerStars parent Amaya — filed a request for the case to be moved to Clark County Business Court (Eighth Judicial District Court). Immediately after that, on October 28th, Amaya and PokerStars filed a motion to dismiss the case, and then followed that just four days later with a peremptory challenge of the case’s initial judge. Later that same day, November 1st, the case was indeed reassigned to a new court. Luske and his Las Vegas-based legal counsel, Kerry J. Doyle of the Las Vegas law firm of Thunder Law, filed an opposition the Amaya motion to dismiss on November 14th. The court docket indicates the hearing on the dismissal motion was original scheduled for December 1st, but was then shuffled back to December 8th for unspecified reasons. Marcel Luske did not respond to a press inquiry in connection to the case, and PokerStars and Amaya has a corporate policy of not discussing ongoing litigation. Flushdraw will continue monitoring the case for additional developments.